Dow Jones Industrial Average - What is it and Why is it Important? The Dow Jones Industrial Average (DJIA) is a stock market index, a metric that measures the price-weighted performance of a select set of stocks. The DJIA in particular tracks 30 blue-chip stocks that together are some of the most valuable companies in the US economy. The DJIA is one of the oldest and most universally-watched market indices today – when reports refer to the market going up or down, they are typically referencing the DJIA. The DJIA was formed in 1896 by businessmen Charles Dow and Edward Jones as an index that tracked 12 industrial companies in the US involved in sectors such as railroads, cotton, tobacco, and manufacturing. Upon initiation, the DJIA was simply an average of all of the component stock’s prices, but as mergers and stock splits have occurred over time the DJIA converted to use a price-weighted formula. In addition, the composition of the stocks has changed over time in order to keep pace with the broader economy. 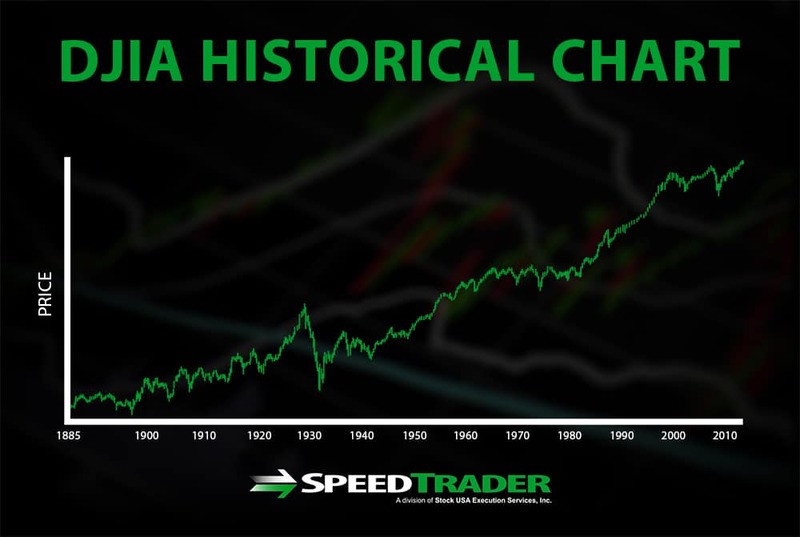 The DJIA was expanded from 12 to 30 stocks in 1928 and has changed composition 51 times since its inception. Typically, these changes in composition occur when the DJIA itself undergoes significant drops or gains as a result of one or a few member stocks losing or gaining value out of step with the broader economy. Up until 2018, the only company that remained from the original DJIA composition was General Electric, however they were removed in June of 2018. 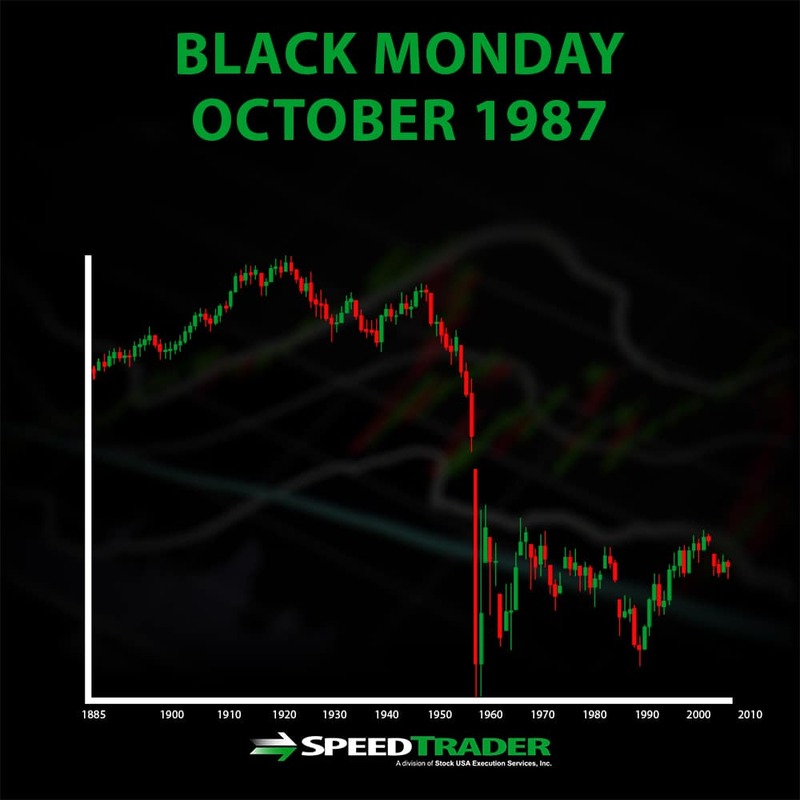 The DJIA has experienced several significant milestones over its history, including its largest one-day loss in 1987 of 22.6% (possibly as a result of computer-based trading) and its recent record high reached in 2018. 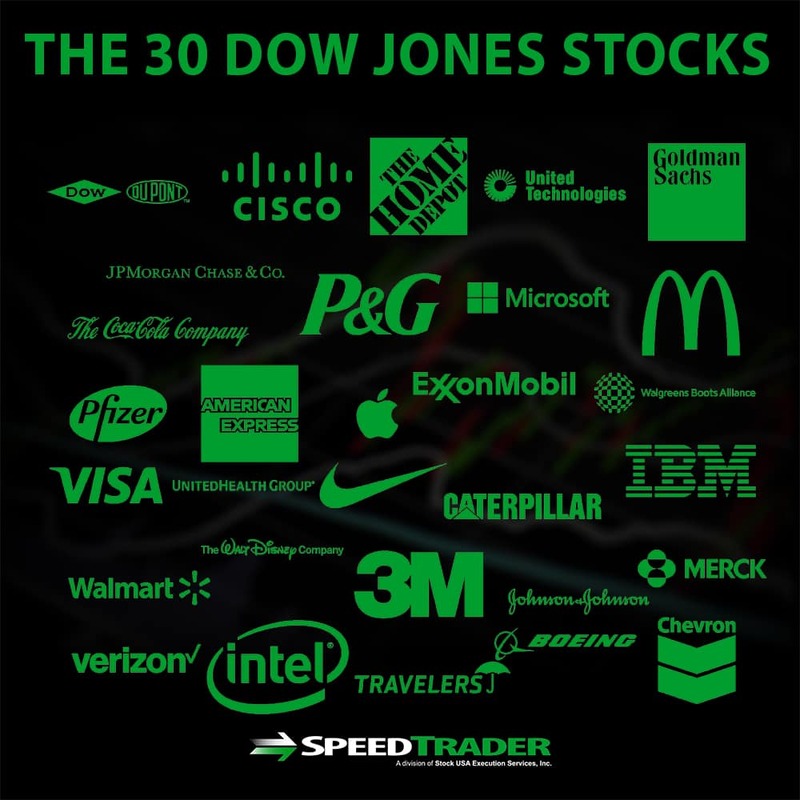 Although the DJIA covers only 30 stocks, it is a significant index for anyone who watches the stock markets and the economy as a whole. The 30 companies that make up the DJIA are not only among the largest in the US, but also are foundational in that weaknesses in these companies – and thus the DJIA itself – have repeatedly preceded market-wide bearish trends. In addition, over the long run the DJIA largely mirrors the performance of the economy on the whole as measured by more comprehensive indices such as the Wilshire 5000. As a result, the DJIA is the most frequently reported-on index for the stock market and is monitored closely by everyone from traders to economic policy analysts. Traders who also watch the Dow Jones Utility and Transportation Averages, two similar indices that track these respective sectors of the economy, believe that the three Dow Jones indices can be used to determine whether a bullish economy may be interrupted or not or to predict economic downturns. There are several important differences between the DJIA and other major indices, such as the S&P 500 or Nasdaq indices. First, the DJIA tracks only 30 stocks whereas the S&P 500 tracks more than 500 stocks and the Nasdaq tracks more than 4,000 stocks. As a result, the latter may be better indicators of how the overall market is doing, while the DJIA speaks to fundamental sectors of the economy. 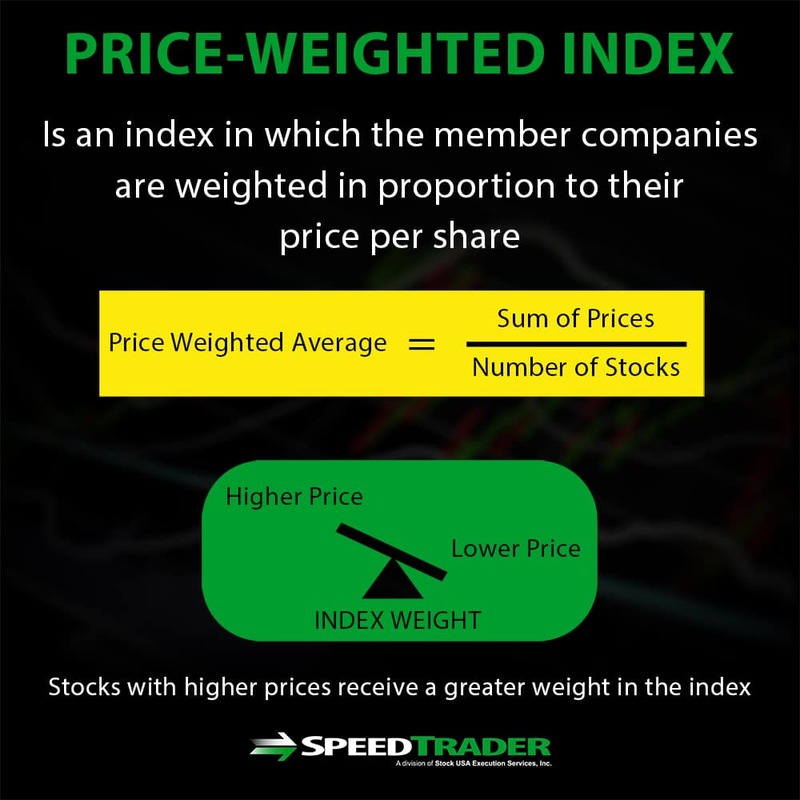 In addition, whereas the DJIA is price-weighted – which enables high-priced companies to move the index more than low-priced companies for the same percentage change in price – the S&P 500 is weighted by market cap to more evenly measure the influence of stocks on the index. 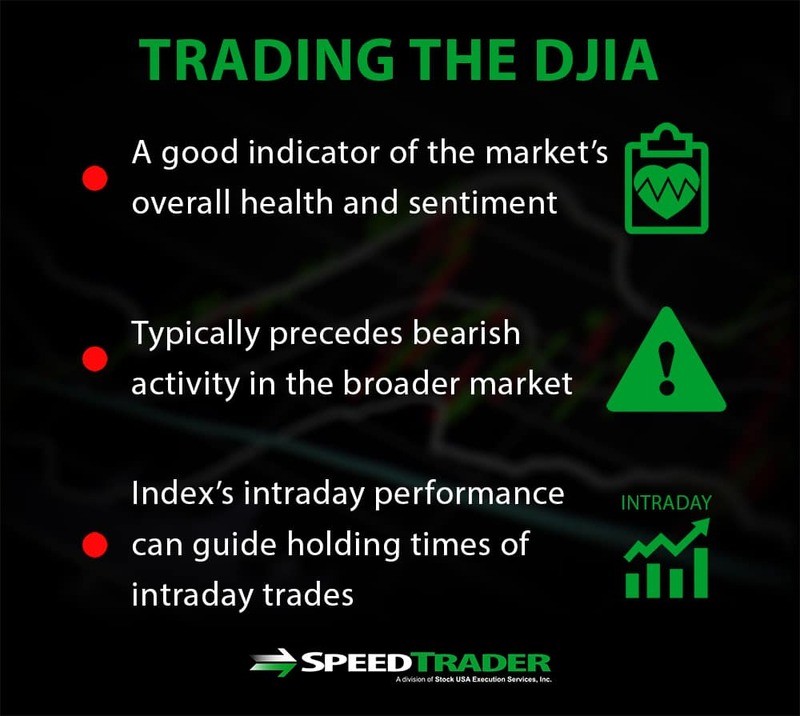 Although you cannot trade the DJIA directly, the index itself can be a useful tool for informing other trades. First, the DJIA is a good indicator of the market’s overall health, which can influence volatility and bearish and bullish sentiment throughout the market on both short and long timescales. In addition, bearish activity in the DJIA typically precedes bearish activity in the broader market. In this respect, the DJIA can be used as a marker for panic or excessive buying in the broader market and thus interpreted as a signal to trade with caution. Short-term traders can also benefit from the DJIA by looking at the index’s intraday performance. If the DJIA is increasing steadily throughout the day, longer intraday trades may be more lucrative, while if the DJIA is volatile then short intraday trades may be preferred. The DJIA is one of the most-watched indicators of the stock market and is a foundational indicator for economic health, particularly since trends in the DJIA can precede trends in the broader market. Although traders should beware that the DJIA alone is far from representing the overall market since it includes only 30 stocks, the DJIA can still be useful as a trading indicator. In particular, volatility in the DJIA on both intraday and long timescales can be an indicator to trade with caution, while bullish activity in the DJIA may indicate that long intraday or longer timescale stock holds can be more profitable.